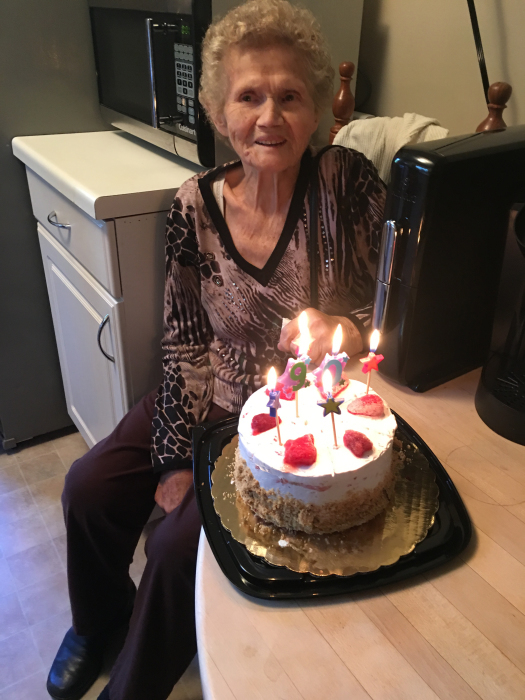 Anna Cinyk, 91, formerly of Jersey City, passed away on March 31st, 2019 surrounded by her loving family. She was born in Ukraine and immigrated in the year 1951, and then moved to Annandale, NJ where she lived out the rest of her life peacefully. Anna was a devoted parishioner of S.S. Peter & Paul Ukrainian Catholic Church. She is survived by her daughters: Nadija, Marion, and Irene; grandmother of Larissa, Andrea, Samma, Karima, and Ben; and two great grandchildren. She is the beloved mother of the late Olga. Visitation is Wednesday, April 3rd from 4:00 PM to 8:00 PM at the Riotto Funeral Home & Cremation Company, 3205 John F. Kennedy Blvd., Jersey City. Parastas will occur at 6:00 PM during visitation. Funeral is Thursday, April 4th beginning at 9:00 AM at funeral home. Funeral Liturgy at 10:00 AM at S.S. Peter & Paul Ukrainian Catholic Church, 30 Bentley Ave., Jersey City. Interment to follow at Holy Cross Cemetery, 340 Ridge Road, N. Arlington.